Galloway Township will begin holding their annual Summer Camp Sign-ups this Saturday, March 9, 2013 from 9-12 noon at the Veteran's Memorial Park which is the Camp Location of 636 S. New York Road. Other Sign up dates include Wednesday, March 13, 2013 from 5-8 p.m. and Tuesday March 19, 2013 from 4:30 to 7:00 p.m.
Weekly Sessions, members can pick and choose your weeks or Sign Up for the Entire Summer. 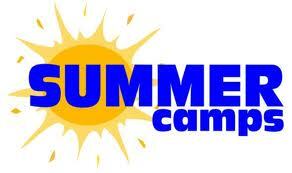 Camp Hours are Monday - Friday from 9am to 3pm with early drop off at 8am or late pick ups. For additional information and costs please call Community Services @ 652-8657.